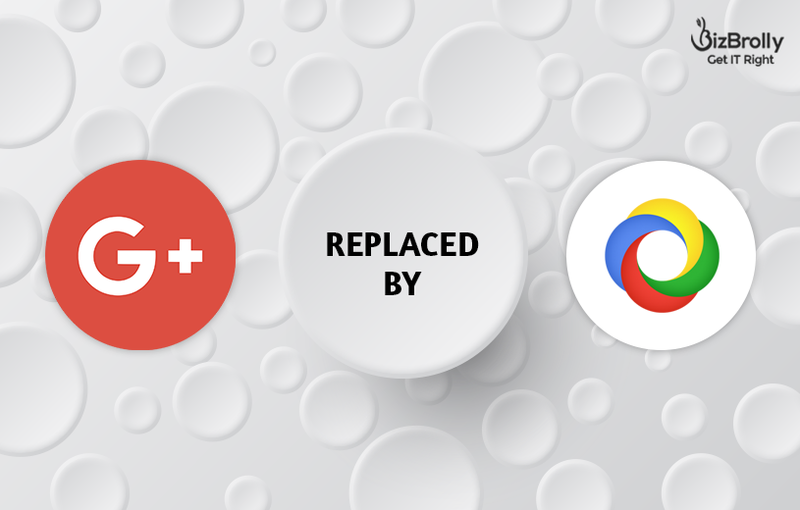 Technology Giant Google announced to shut down Google plus on April 2, 2019 because of low user engagement and product maintenance challenges. But here it’s worth noted that Google Currents will be the new replacement for G Suite Users enabling them for healthy group discussion and interaction with employees within the organization. As the Beta Version of Currents will be launched with more advanced features, as the posts and tags are much faster than previous Google Plus. Now G Suite users can avail the facility of Google Currents and their google plus posts will automatically transfer to their currents account, but not for personal accounts. This is the second time when Google used Currents name, previously in 2011 it was a magazine app offering news services and later it was replaced by Google News. Google Currents is much focussed on businesses facilitate management to monitor conversations and interaction with employees directly. Hopefully, Google Currents will be the next-generation tools for G Suite Users. Google is the foremost US-based multinational company, primarily deals in Internet-related services and products. The company offered various services i.e. search engine, cloud computing, online advertisements, Web-based services, software products, and hardware. Founded by Larry Page and Sergey Brin on September 4, 1998; the company has established itself in Big four technology company. In its enterprise services, Google offered G suite and Google Cloud Platform, where G suite is a monthly subscription for businesses to avail Google services Google Drive, Gmail, Google Docs, Sheets, Slides, Calendar, unique domain name along with 24/7 support and services. Because of myriad usage and features, G Suite is more popular among the business community and organizations. It offers professional email services, 30GB of online storage per user for basic and unlimited for enterprise level, advanced admin control, easy data migration etc. Now it’s to see what will be the impact of Google Currents for G Suite users. Artificial Intelligence (AI) is not a new concept for us, with the passage of time we see some notable aspects of it. In the beginning, it was much more about the understanding of human intelligence, but on the second phase of AI, we see a tremendous amount of data, better algorithm, finest computing power, and internet that globally connects everyone. This allows Researchers to apply capabilities of AI in the business world as well as in everyday life. Now we have moved from research to applications, engage with this non-human intelligence apart from the concept of consciousness. The AI has set itself today as a totally different kind of intelligence. Bizbrolly one of the IT Development Company in Noida primarily works on Artificial intelligence Services. 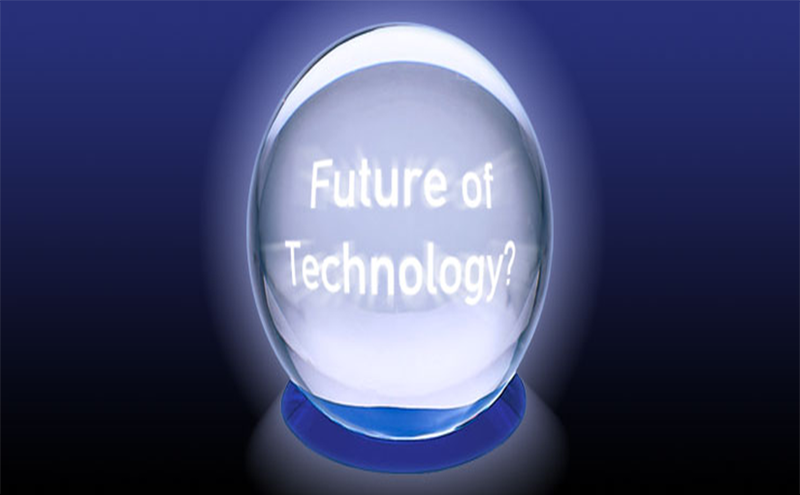 As today we encounter with high tech artificial intelligence based devices, gadgets, machine and software. 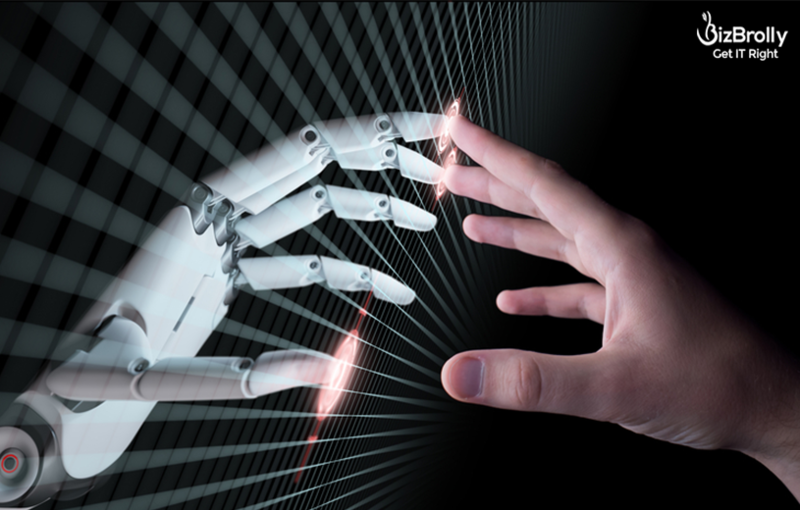 Bizbrolly comes up as a breakthrough in AI concepts, we are progressive to provide a wide range of AI Solutions to meet day-to-day life challenges. From indoor home security camera to digital assistant for drivers. AI-based applications make your life much convenient, but reachable to high-profile peoples only. In an attempt to solve the problem, major foremost companies have joined the common platform. Numerous mobile applications based on AI are easily accessible for different groups of buyers. You can avail robust mobile application at very In-budget pricing, here worth noted categories include i.e. environment monitoring, security system, car driving automation, audio & visual – play music and also display photos and videos. If an AI application is not user-friendly then it’s no means for anyone, it should be like that a non-tech person could use it hassle-freely. The application should respond positively to quickest time to your every request. In the meantime, development companies must have accountable to build user-friendly applications, just for enhancing user experience to the next level. As discussed in the beginning AI has emerged in a new role, if we are using it in the business to meet our business demands, target groups, daily task accomplishments, etc. If an AI application covers small enterprises to large scale group of companies, then it’s fruitful to develop an ideal business community to interact. It’s good to provide all-around technical services by just one call, some critical applications belong to security & business needs the quickest support at a minimum price. To improve customer relations customer support team should be ready to serve 24*7 hrs day. The objective behind it is to ensure the reliability of users on AI Applications. Every year we celebrate International Women’s Day to honor its women power for their utmost endeavors and contributions in writing BizBrolly’s success story. Celebrating Women’s day is a way of showing gratitude and appreciation for their roles in BizBrolly’s achievements. They transformed the company’s ambiance in a wonderful workplace for everyone, especially for women. It is one of the foremost mobile app development company in Noida providing an excellent growth opportunity for women. In every sphere of professionalism, they competed the men & served their best by crossing the barriers of gender. On every stage, they’re performing beyond the expectations giving key solutions to major professional issues. In the Company’s decision-making body they are exceptionally very good strategic leaders as well as a front runner in putting their innovative ideas as per market demands. Presence of incredible caliber to take challenges to assist us to successfully deliver several very challenging projects under the strict time frame. The company is offering excellent scope & opportunities for women in various zone i.e mobile app development, testing, management, and digital marketing. Presently more than 15+ women are working over there across the different part of the country. Everyone is professionally qualified as well as competent to tackle all major key issues during all phases of the development life cycle. We have provided a gender equality environment to grow them in order to maximize their potential. They performed outstandingly in the successful delivery of 300+ mobile applications. Being a positive personality becomes the first factor which decides the success, everyone wishes to do business with an enthusiastic optimist. It’s worth noted that Bizbrolly’s women are full of positive energy with a supportive attitude which has developed trust among the team members as well as clients. In IT Software Development where customer support and project’s deadlines are equally important to gain the futuristic business. Our Women Staff perfectly accomplished their assignments in building good business globally. 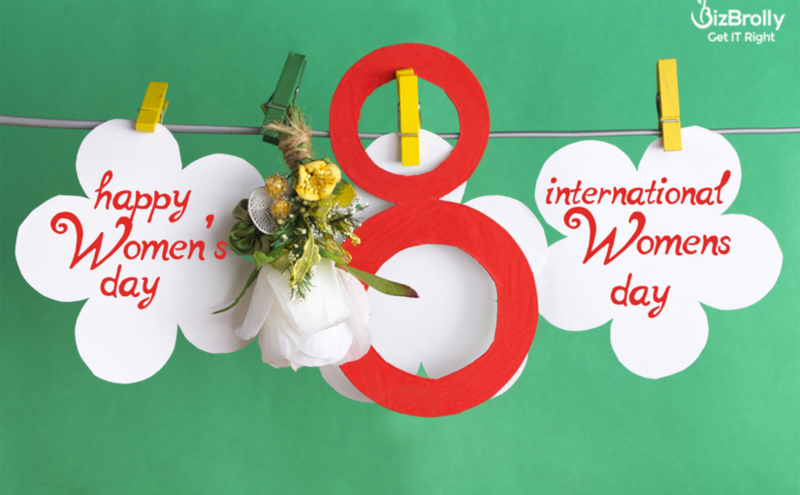 “BizBrolly wishing all of its Women Power a Very Happy International Women’s Day 2019”. We are living in a time where there is an app for almost everything. With the increasing consumption and availability of Smart Phones to the masses, mobile apps are gaining popularity at a rapid speed. Mobile application development is a process or an act by which a mobile app is developed for mobile phones. For best mobile app development there are several Mobile App Development Companies in Noida. Here is an insight on the Mobile application development Process. Planning: Planning and Requirement gathering is being done in the initial phase. Both client and development team sits together and discuss the project requirements in this phase. Design: After the documentation of the requirements designing team create a user interface ( UI ) for the project. User interface serves as a prototype and with the help of UI Both clients and developers get a common understanding of what they are going to develop. Development: It is the phase where the actual product is being created. Developers write the code to achieve the desired requirements. 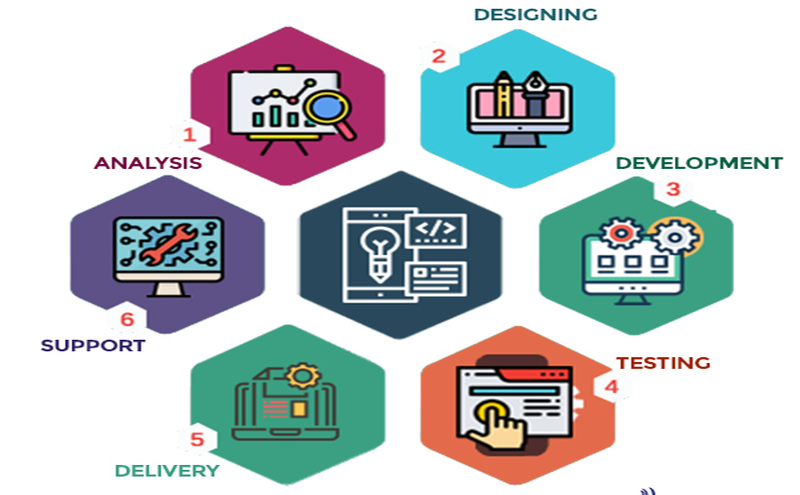 Testing: Once the development is over, the product goes into the hands of the quality analyst team which analyze the product and match it with the client requirement. The difference or the gap is being found by the QA team which is fixed by developers. Delivery: Once the product is being reviewed by QA the project is being delivered to the client. Maintenance: It is after delivery support that is provided by the development team to clients to help them settle with their project. The person who is actually writing the code for any mobile app could be termed as a mobile app developer. There are many Mobile App Development Companies in Noida who have best developers in this profile. What is the meaning of Mobile Application? A Mobile application, commonly referred to as an app, is a type of application or software designed to run on a mobile device, such as a smartphone. It is also known a web app, online app, iPhone app or smartphone app. 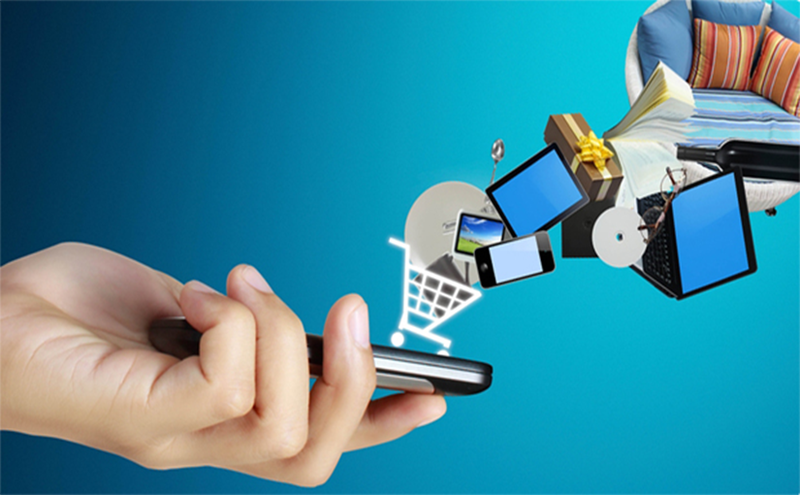 The aim of mobile apps is to provide services similar to those accessed by PC to users on their smartphones. What language is used to write apps? There are various languages available for mobile app development, each having its own pro and cons. With Technology undergoing a major change it might be very hard to decide which language to choose to develop your app. The choice depends on the requirement and other factors ( such as resource availability, cost, project size, and platform). If you are developing your app separately for different platforms which are termed as Native app development then you need to choose a different language for different platform. Objective C and swift are popular for iPhone app development while Java, Kotlin is popular for Android app development. Another popular way to develop mobile applications is to adopt cross-platform app development approach. This method allows us to write code once which works on different platforms thus saving time and efforts. Most popular platforms to develop an app with this approach is React native and flutter or you can contact Mobile App Development Companies. Mobile app development is one of the fastest growing businesses in today’ time. We are in the time where we can say that there is an app for literally everything. With the increasing consumption and availability of Smart Phones to the masses this business is definitely going to boom for many coming years and with the right user centric features your app can really stand out from the crowd that can provide you an exponential business growth. Before you decide to put your money into smartphone app development it is important to get familiar with the potential of this business. According to a report released by Statista, the Gross Annual Revenue of mobile app market will cross $189 billion by 2020. Another report shares that in the preceding year, users have downloaded 149.3 billion apps to their connected devices. And it is expected that the same figure will touch the mark of 352.9 billion app downloads by 2021. 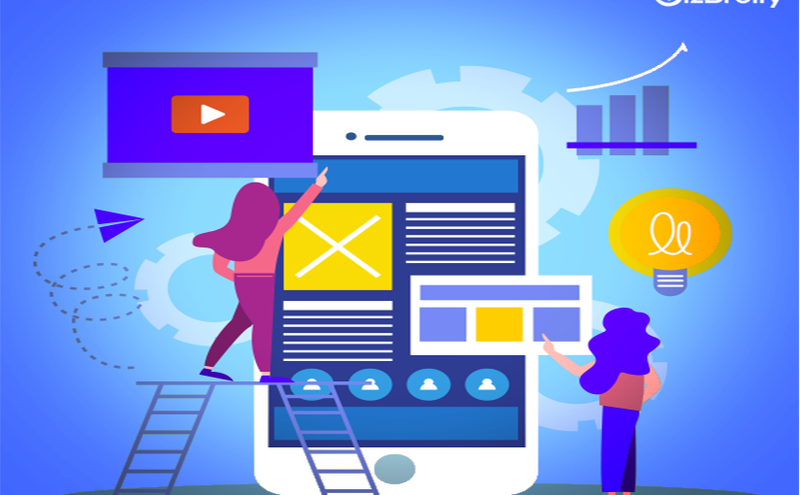 Due to its remarkable growth and huge potential it fascinates everyone but you need to look at the other side of the story as well before you decide to get into Mobile app development Business. According to a latest survey it was found that approximately 45% retail mobile app users aren’t satisfied with their mobile app experience also it was found that an average mobile app loses 77% of its daily active users in its first three days and 90% in 30 days. There is no doubt in the fact that the Mobile app market is Growing at a very Rapid speed but as reports suggest, the users are still not satisfied from majority of the mobile applications and If you really want to win the hearts of your desired audience you need to focus on building a user centric Mobile application. Although everyone Plans to build an app of this kind, but not everyone ends with the desired results due to different reasons and That is why here we are sharing few points that you need to keep in mind while building a Mobile application. If you are planning to build an app your very first task should be to understand the needs of your Desired Audience. People who are targeting to get into Mobile app development business should understand that they need to do a detailed research in likes and dislikes ,choices ,preferences of their desired Audience. Their should be a detailed research on what their users are expecting in their mobile application which current apps are not able to provide. After getting this detailed analysis you can prepare feature listing for your product and can include the feedback of your target audience. This will give you an edge over other players as you will be creating what your users exactly want. Though any app design should be a combination of UI and UX however focus should be more on providing a good user experience to users. There is no need to put all your efforts and show all your creativity into creating fancy designs. Just Keep it simple and easy to use. It should also be ensure that content is clearly visible, design elements are friendly, and the controls are placed at the right place. Most of the time a messy design is the reason why your app gets uninstalled from the devices of your users as soon as they installs it. If you really want to get successful in the app development Business you need to ensure that you app performs well in all the devices ( Number is huge when it comes to Android) as There are a number of smartphones and tablets available in the market with different screen sizes and orientation. While building your application You need to code and design your application keeping in mind all these smart devices irrespective of their screen size, OS, etc and to ensure the desired result you should test your app in all the devices before its launch so that people no matter which device and OS they are on find your app useful. The very first reason why people are switching to smart phone apps is the time and effort people save through them and If your smartphone application takes a relatively extra time to load at low internet speed, your app users will definitely leave using it. The success of many applications lies in the fact that they run smooth on low internet connectivity which we all encounters in our day to day lives. An app that has the capability to run on low internet speed can create miracles in the lives of users and can be a major reason why people would love to use it.It is very important that during the development and testing phase test related to the connectivity related performance also done so that you can get the idea about how your app will work on low connectivity situation and after getting these results you should focus on providing your users the best experience even if they are on poor network so that they can trust your application when nothing is available. Working in the project management Profile i frequently get a chance to communicate with clients from all over the globe. The most common thing i have found in clients is that they want to accumulate every feature in their product at the very first launch. I have seen Projects with phenomenal potential getting failed due to this approach of desiring everything in the app at the beginning. Before you decide to create an app you must fix your requirements that you want to have in your app. This will help your developer to provide you the product in specified time. Many People do not spend much of their time into Requirement Gathering and approach developers directly giving a rough idea of what they want in the product. The problem starts when they start viewing the design of their app and they start comparing it with other established apps, this is the time they approach their developers and asks them to have all the features they see in different apps which most of the time becomes hectic for the development team as clients only see features but developers have to spend a lot of time and efforts into implementing those features which delays the launch of their application. To maintain a healthy professional relation with your development firm you need to fix your requirements at the beginning of the project. Now to accumulate all the ideas that you get on daily basis for your app you should launch regular versions of it. This approach will ensure that your project is not getting delayed and you are achieving your goals in a managed way. It is important that with the passing days, you learn through your mistakes and accordingly release updates. The best way to do this is through user feedback. Don’t leave them unattended. Check what your users expect from the application, and how you can retain them for long. It has been noticed that app updates are the best way to keep users engaged with your brand. Data security is the most important aspects which you should work upon. Users think twice before sharing their personal information or giving permission to any app. Also With the increasing number of Cyber crimes, data hacks ,Data piracy users are very aggressive for the protection of their data. any such data breach incident can literally devastate the hard earned reputation of your Product hence to avoid this situation you need to ensure the protection of your Users data also you need to take care that your app don’t ask for those permissions which are unnecessary or irrelevant to your smart Phone app. This is something which matters the most. A right team can make your dream successful or can turn it into a nightmare. Before allocating your project to someone you should do a thorough research on the capabilities and strength of the team. Also you should not compromise with Quality for small financial savings. You can’t win the race by standing still. Professional services firms, much like BizBrolly, need to innovate constantly to stay ahead of their competition. Unfortunately, the sector isn’t immune from bad decision-making and, too often, the best intentions of project managers turn into career-limiting IT disasters. Here’s a rundown of the top reasons why professional services IT transformation projects go wrong. Professional services projects generally tend have a short lifecycle that runs between 3-6 months (at the most). This short time span, however, seems to lull project managers into a false sense of security. While projects may seem straightforward, with very little impact of failure, even one setback leaves you scratching for answers right at the back of the queue. More than half of professional services IT projects fail due to poorly defined requirements. You will never hit the bullseye if you don’t set up a target; it’s as simple as that. Yet still unclear requirements are one of the main reasons for failed IT projects, according to The Chartered Institute for IT. Big data is a big deal in the professional services market. The amount of data you can collect on you customers today is almost bottomless. While that’s a wonderful thing, it also sets high expectations. Firms start big data analytics projects because they are tempted by the promise of all-knowing insight. The reality, however, is often less game-changing. 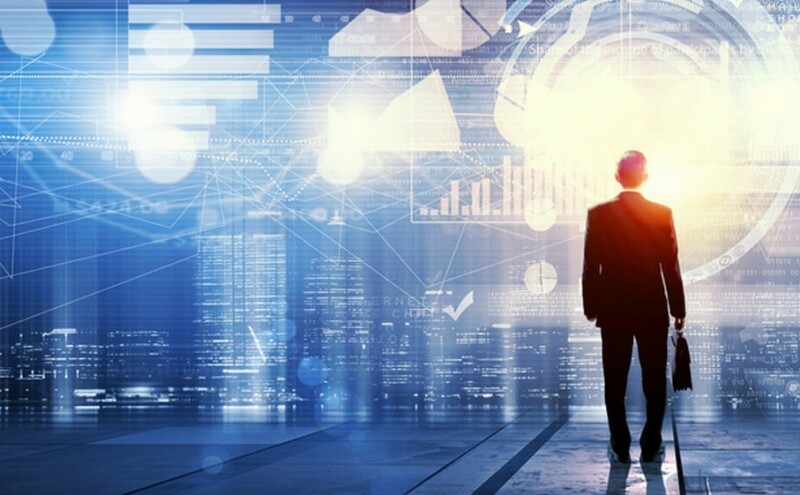 The software itself won’t provide all the answers and firms often don’t realise the need for business change to collect, analyse and use the data. Buying software and expecting it to work without any further effort is like buying a book and not reading it. Don’t set your IT transformation projects up to fail. While it is an absolutely pressing task to manage an IT project, and almost every project will come with its own array of challenges, remember that you can’t stop them all. 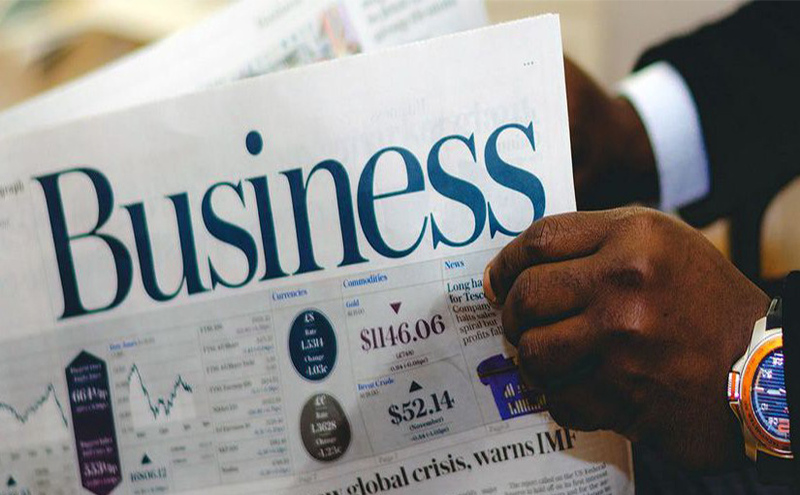 You must certainly reduce the risk of failure by fully understanding what you’re taking on, setting reasonable and achievable expectations and outlining your business requirements at the start. After all, fail to prepare and you prepare to fail. 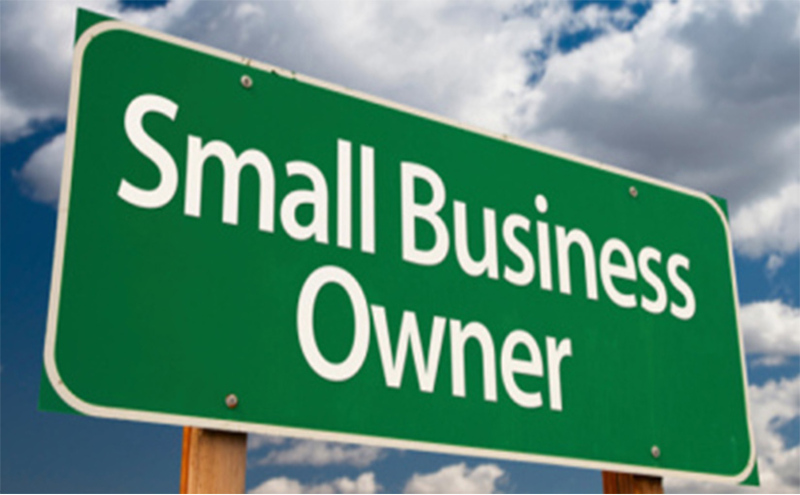 There are more small business owners now than ever before. You’ll find each of their stories so unique and inspiring—each making you wonder will you, or how will you ever be good enough. Well, we don’t know will, but we sure do have some insights for small business owners wanting to make it big in this advancing world we live in. Every business owner needs a stellar team they can trust to function with minimum supervision. Trust the people you work with for the skills you hired them for— and see how they grow. This not only helps you run a successful business, this makes you a better, respected leader. Aim to consolidate your errands and the tasks of your business. Group similar tasks and aim to accomplish them on a specific day or at a certain time. When you consolidating your tasks and getting work organised, you will eliminate multi-tasking and can focus on essential tasks to finish a project. The use of cloud-based applications and software can significantly improve business efficiency. Give your team members the possibility to work from anywhere. When you and your team members can work from any location, your productivity will increase tremendously. Manage your sales and inventory in the cloud or web databases. The benefit of small businesses is that there is a close interconnected bond between people who work in the business. When one member is affected, the rest tend to take the fall. The success of your business will depend, to a very great extent, on the spirit and productivity of your employees, and it is your responsibility to ensure that they are getting what they need (morally or monetarily) to perform exceptionally. It’s essential to set business goals and objectives for your company, and to be able to measure progress. As a business owner, you need to establish specific measurements that show your business performance against the set goals. Shopping experiences have now been completely transformed. Convenience. Timely. Accessibility. These are easily among the top three reasons why each one of us— one time or another have chosen to shop online. There is a growing concern over cases of cyber-theft, which can include identity theft and financial fraud. Maintaining our data to be protected during each of our online activities must be a top priority. Your first point of action— Weather you are online— shopping or not— remember to use only https website. It offers a secure connection that guarantees that whatever transaction takes place between you and the site, it is exclusively restricted to only you and the system. If it is http, siren bells must most definitely go off in your brain. These sites are not secure for vital transactions. 2. Are you sure you want to use public Wi-Fi? If you are shopping outdoors, always reject the temptation to use public Wi-Fi, however If you use it, you are unwittingly exposing yourself to cyber-theft. Updates are a sign of important technical changes that apps, and devices undergo. These may happen just as regular updates or as a security breech. Updating your device’s operating system is a good way to remain secure. Harmless as it may seem to keep your login credentials at easy access, save yourself the trouble of security breaches. Even an accidental exposure can be punished. It is also very advisable to use complex and secure passwords to safeguard yourself. It is in fact the easiest way to expose yourself to theft. Although it can store very important and sensitive card info for ease of transaction, it can leave you vulnerable to hackers and cyber thieves.